Is the Ring Cycle on? Sydney thus far has avoided the floods that have afflicted our Northern and Southern neighbours. Whilst the weekends events don’t allow New South Welshmen to empathise on the basis of similar plights – we have been bloody drenched and the last few days have been wetter than a fish’s wet bits. The BotF crew were therefore very pleasantly surprised to be able to enjoy a relatively balmy and completely dry journey home. Summer just won’t let go and it was around 25 degrees on the Back of the Ferry. 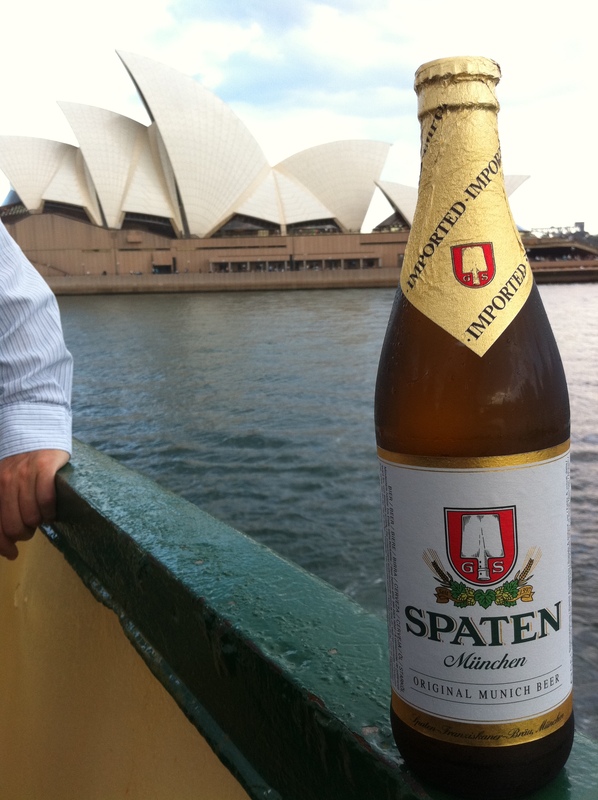 Today’s beer, which you can enjoy at the end of the voyage on tap at the Bavarian Bier Cafe on Manly Wharf is Spaten Munchen. This beer has a proud heritage, of which someone is so proud they went to the trouble to obtain “Protected Geographical Indication”. Difficult to work out what is being protected because there is no information on the label, nor is the web an easy place to navigate on this topic. Anyway, the beer has its origins since the the 1300’s, merged with Franziskanker and has subsequently been taken over by one of the Pacmen of the beer world – Anheuser-Busch InBev. 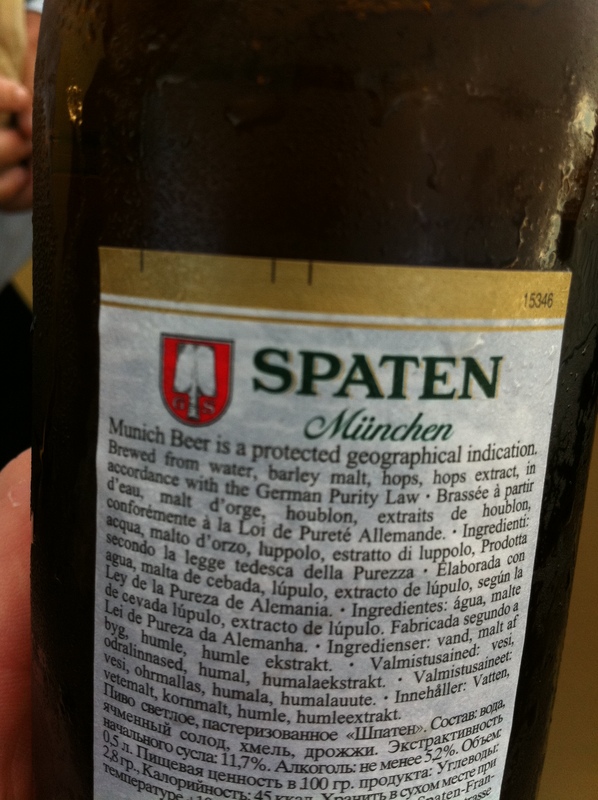 Spaten is a fine malty Munich Beer. Eminently drinkable and this could be a six packer, even with the welcome Euro 500ml bottle. Does it deserve the protection of a “Geographic Indication”. Hmmm, not sure. I’ll do some homebrew, call it NW Fairlight Beer and go for the protection. A new form of beer label hyperbole. BTW, “beer label hyperbole” is a BotF trademarked term.